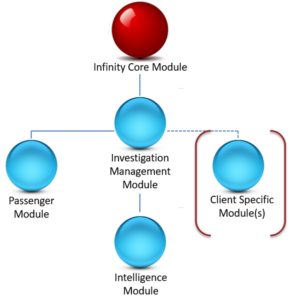 Each Client may have their own systems or databases that they would like data extracted and imported into their Case Management System or Infinity’s Investigation Management System. Infinity was designed from the outset to cater for this. Through the import of data exports, data dumps, web services, scraping or API connections, Infinity can harvest or mine the data from third party systems. Connection, communication and/or data injection from Third Party systems into Infinity is non-intrusive and non-evasive to such systems and places infinity as a ‘one-stop-shop’ for all data access requirements with an organisation. The number of data connections Infinity supports are infinite.